If you've ever found yourself reminiscing about your favorite shows of yesteryear, wondering where those characters are today, you're not alone. Like the popular Twitter account @SeinfeldToday which imagines what Seinfeld would be like if it was still airing in 2015, I set out to imagine what Family Matters, Boy Meets World, and other popular TGIF shows would be like today. If you're a true '90s kid, you remember ABC's classic roundup of comedy TV shows TGIF. The lineup included classics like Mr. Belvedere, Dinosaurs, Boy Meets World, Full House, and more. While some of the shows have been—or are being—rebooted, not all of them have gotten that special treatment. So, I went back to imagine what I think our favorite comedy TV stars are up to now that TGIF has ended. Family Matters: "Wish Upon a Vine Star"
Police Officer Carl Winslow is captured on cell phone forcefully subduing an alleged robber, which causes protests throughout the city. Siblings Eddie and Laura are bullied at school for their purported violent dad. While trying to take a selfie with a reluctant Laura, Steve Urkel accidentally knocks out one of the bullies. When Urkel realizes what he did, he proclaims, "Did I do that!?" and gets suspended. He spends the rest of the day with Estelle and learns she has a secret: she has a very popular Vine account. Newly discovered security cam footage shows Carl was stopping the robber from assaulting a woman walking her dog. Side story: Urkel realizes he has more success on Tinder as Stefan, but Laura accidentally swipes left. Mr. Belvedere: "Wesley's Syrian Friend"
In this very special episode, Wesley has a new schoolmate, Adnan, a Syrian refugee who gets picked on by some xenophobic classmates. Wesley contemplates joining in on the bullying until Mr. Belvedere, an immigrant, blows his mind with a history lesson revealing America itself was founded by refugees. Dinosaurs: "It's Starting to Feel Like Climate Change, Again!" This show was ahead of its time and dealt with many modern-day issues. Corporate power, civil rights, steroid abuse, and more were all broached throughout the series. So Dinosaurs set in modern times, well, would pretty much be the same. With that being said, here goes nothing: Baby Sinclair eats Grumpy Cat because the cat is "not the mama"; Baby Sinclair and the family release a statement responding to public backlash, "He's the baby, gotta love him!" Boy Meets World: "Draft Prom King"
Cory and Topanga's relationship is challenged when Cory becomes jealous after he sees how many creepers are leaving comments on Topanga's Instagram. Falling further and further into debt, Shawn needs help to overcome his FanDuel/DraftKings addiction. Cory's jealousy subsides after having a heart-to-heart with Mr. Feeney and realizing those comments are made by sad, lonely men. Also Eric, Cory's older brother, opens up his own Crossfit gym. Full House: "Late Night Starring Armed Robbery!" Danny, D.J., Stephanie, Michelle, Rebecca, and Kimmy attend The Tonight Show Starring Jimmy Fallon to watch Uncle Joey Gladstone's late night standup comedy debut. Uncle Jesse stays behind to put the finishing touches on the Jesse and the Rippers album but is interrupted by armed home invaders. The home invaders leave after Jesse begs them to "have mercy!" and the Beach Boys show up, probably. Perfect Strangers: A Christmas Episode: "Me, Myself, and Elf on the Shelf"
Petrified by the mysterious Elf on the Shelf, Balki contemplates moving back to Mypos. Sleepwalking, Balki discovers Larry has been moving the elf in the middle of the night. Elated that Balki isn't moving back to Mypos and taken over by Christmas spirit, they do the "Dance of Joy." Larry asks Balki if he thought that the elf was real. 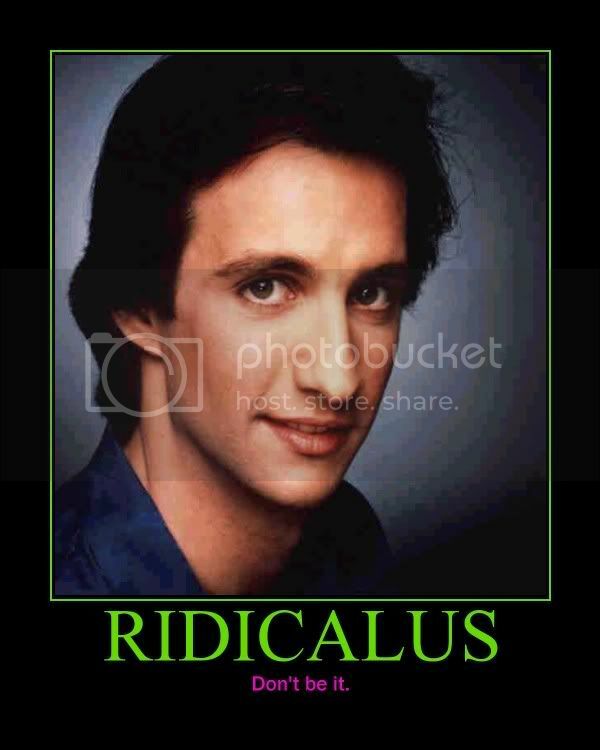 Balki replies, "Don't be ridiculous." Did I miss one of your favorite TGIF shows? Which one? Email me or comment below to let me know what you think your favorite comedy television ABC characters are up to nowadays. Host of The John Thome Podcast and creator of the Karate Chopped Comedy Show, John Thome has been a stalwart in the Omaha comedy scene for years. John's comedy has been called the perfect mix of clever and silly. Whether he is sharing some of his infamous "John Thome Fun Facts", showing off his killer calves, or regaling audiences about his days as a backyard wrestler, he always wins over a crowd with his willingness to take a joke to absurd heights and his sheer likability. Married to his dream girl Alex, they are proud parents to their newborn son, Frank. The three enjoy long walks around the park with the other members of their family, Roosevelt the Chihuahua and C.C. the Maltese. Start your holiday shopping early with discounts so good you won't want to wait. Hear ye hear ye—it’s time to gift our bestest girlfriends! We’ve curated a list of 12 gift ideas for the whole squad, and they’re all under $25. Talk about a Christmas miracle! Treat your man to something special this holiday season, and give him the gift that he never knew he needed. From cocktail sets to waffle makers—we’re catering to the men who’ve most definitely made our nice list this year. Give the gift of an experience this holiday season with one of these not-so-ordinary presents that will have your loved ones filled with joy from receiving a ski trip, tickets to see their favorite performer, or a cooking class they’ve been dying to take. We’ll call you Mrs. Claus. You're a busy woman, so we totally get it if October 31 crept up on you. But it's not too late to have a crazy cool costume. In fact, these 8 last-minute Halloween costumes only require what you probably already have in your makeup bag. Do You Believe In These 13 Fashion And Beauty Superstitions? On a day where irrational fears are heightened to the max, we thought it’d be fitting to refresh ourselves on some ancient beauty and fashion superstitions that pose just as big of a threat today as they did when they were originated. Are you willing to take a walk on the dark side? *Applies winged eyeliner and dark lipstick* Let’s do this, Friday the 13th. Sometimes, it's okay to lighten up a little, and your tattoo color follows that same rule. Check out these 14 white ink tattoos that will make you want to switch things up!